The Fujifilm X-T3 that we tore down last week is now a fully capable, full-spectrum camera. As we did with the Nikon Z7 and EOS R, we’ll be putting the X-T3 through our full set of infrared photography tests. We’ll test the X-T3 for user-friendliness with respect to IR photography, infrared color performance, sensor artifacts, light leaks, and any other issues we come across. 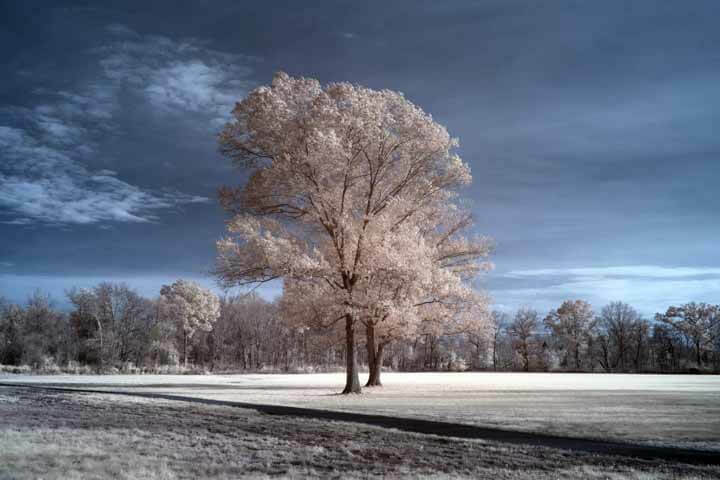 As always, we’ll test our full range of infrared filters and share the results with you here. 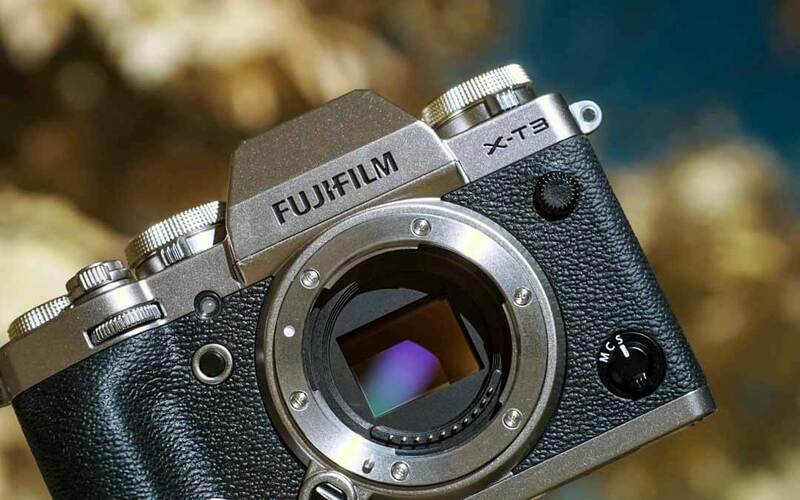 Fujifilm’s crop-sensor mirrorless cameras have been a crowd favorite for infrared photography for some time now, and we’re hoping the X-T3 delivers similar results. 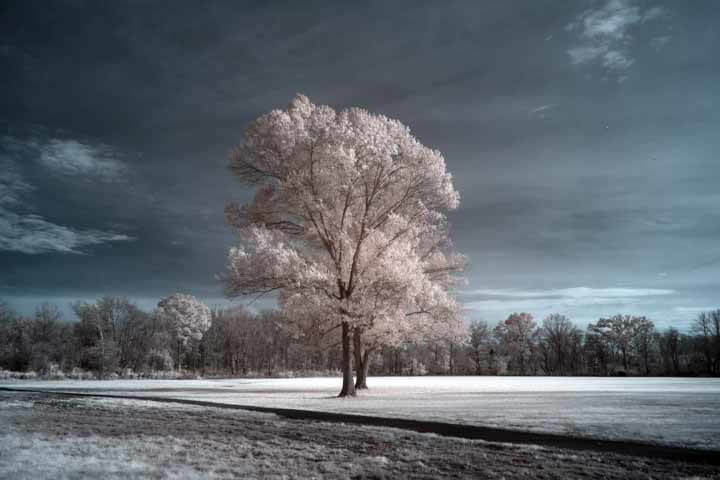 Historically, Fujifilm cameras have almost always been able to set a custom white balance in various cutoffs of infrared. They just don’t set it very well, not for the lower cutoff filters, anyway. When compared to Canon, Sony, or Panasonic, the Fujis’ custom white balances will set with a clear bias to the warm and purple end of things. I’ll show you what I mean. These shots were done with a custom white balance set with a grey card and taken straight out of the X-T3 with no post-processing. From left to right, they are the 550nm, the 590nm, and 665nm IR filters. As you can see, they’re far too red and too purple. Thankfully, these measurements are close enough to easily correct within Adobe or Skylum post-processing software. If you’re shooting RAW, this is no concern of yours since you’ll be using a custom DNG profile anyway. 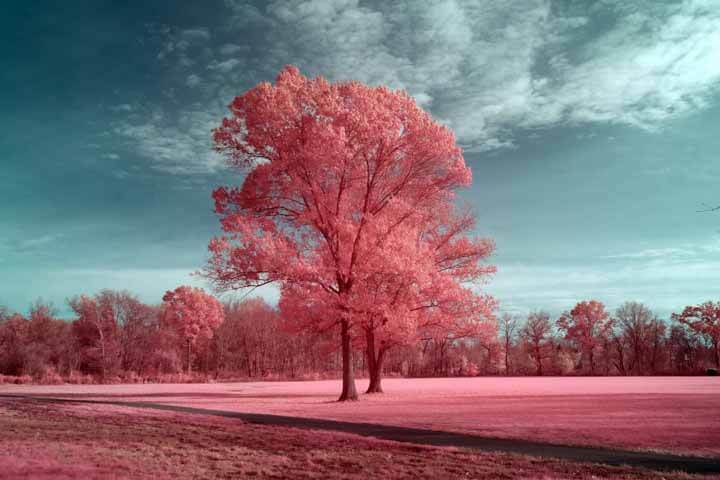 So, how does the X-T3’s IR color shift translate to the finished infrared images? Everybody knows Fuji cameras produce beautiful colors, especially with their film emulations, but does the X-T3 still look as good in another wavelength? Let’s take it from the top. With a simple white balance set in post-processing along with a single red/blue channel swap, the 550nm IR photos came out looking pretty close to what most 550 shooters strive for. The 550nm typically requires a little more processing than other filters, and the trees aren’t as leafy as they were a month ago, but the images coming out of the X-T3 look correct and very usable. There appears to be a bias towards red here with the 590, further proving that the lower wavelength infrared filters will need a little more care and attention to be perfect when used with the X-T3. The 665 is looking slightly paler than usual here, and I don’t necessarily think that’s a bad thing. As you’ll see with the next shot, the higher the wavelength used, the more the Fuji produces a more standard infrared look. The 720nm starts looking ominous during fall time. This field is looking a little haunted here. But, the color seems spot on. At this point, the X-T3 is more or less matching the Canon EOS R IR color performance. The 850nm seemed very washed out here. This could be chalked up to shooting conditions, as it was a bit of a hazy, partly cloudy day. But, I was surprised to see how low contrast it looked compared to the other wavelengths. We also pixel picked for the infamous infrared sensor line problem. 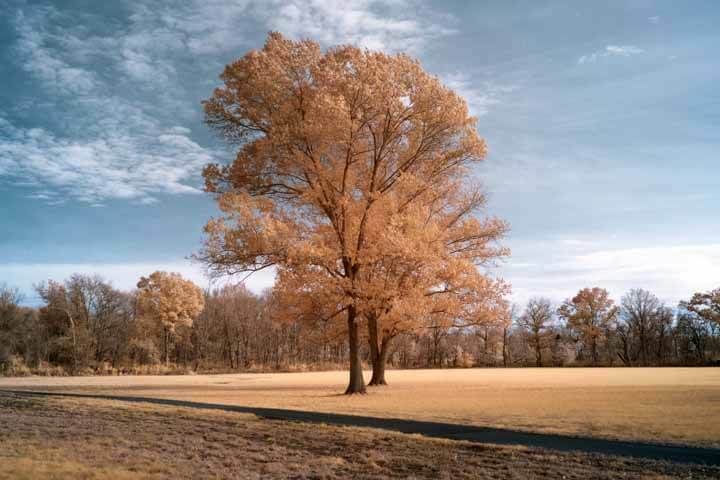 You can read more about this issue and see what it looks like by reading the corresponding section of our Nikon Z7 infrared photography review. In this case, I’ve zoomed way in on the X-T3’s 720nm example shot and blown contrast out beyond all reason to see if any lines were present. Don’t worry about that blotch near the top of the frame. 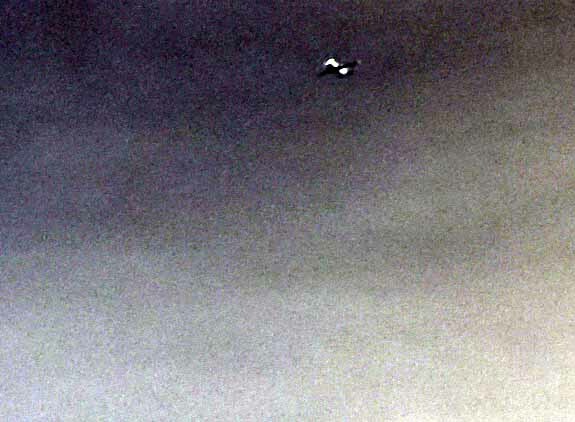 It’s a plane or a bird, but it’s definitely not a sensor artifact. And, we’re all clear. So far, so good. …we have a clean frame. 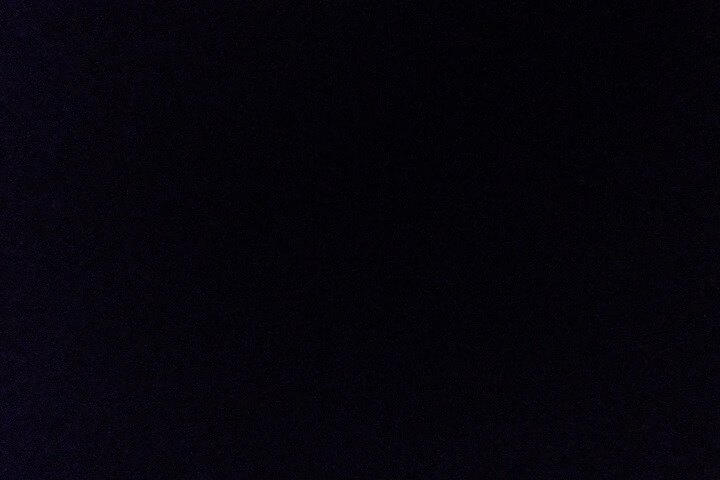 Locked in a drawer at ISO 25,600 for a 30-second exposure, the X-T3 produced a perfectly black frame. Well, almost perfect. If you look very closely, you’ll see some noise in the bottom left corner of the frame. This is far too subtle to be the result of an IR LED, and shouldn’t interfere with any long exposure or astrophotography. Sometimes, noise is just noise. The Fujifilm X-T3 gets a pass in two areas where the Canon EOS and Nikon Z7 each failed once, and the Sony A7R III failed both. Not bad for a crop-sensored hipster camera. 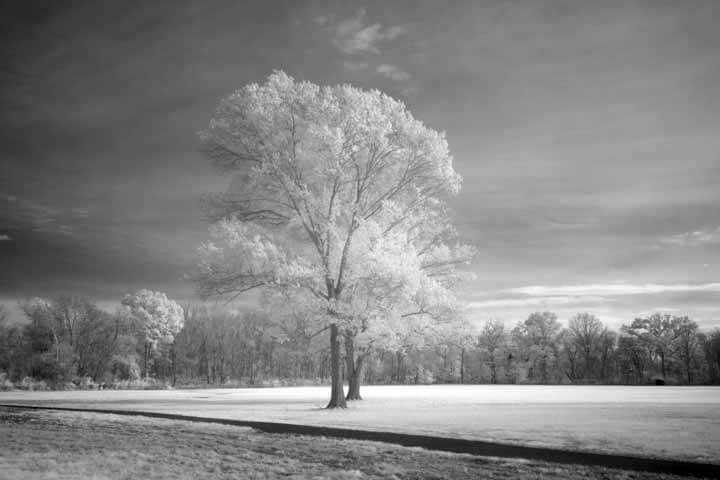 Processing your shots for infrared photography can be a little touchy with the X-T3. You may need some new presets to get the perfect look. But, strictly in terms of function, the Fujifilm X-T3 is by the far the best new mirrorless camera for infrared photography. It sets a white balance every time with each filter. The BSI-CMOS sensor produces no artifacts and excellent IR image quality. And, you can take it out for long exposures and astrophotography with no need to worry about setting too long of an exposure time and blowing out your frame with a self-induced IR light leak. This camera just works for infrared photography, which makes it worth the little bit of extra work it takes to process the files. As I understand it, the X-T3 does not have a hot mirror like most DSLRs so I thought it corrected color shifts from IR and UV internally with software. Am I wrong about that? If so, can you explain what it is that blocks it? The recent trend is for cameras to be made without the lowpass filter. This refers to the anti-aliasing filter that blurs the light slightly as it hits the sensor to prevent moire. The IR and UV light still needs to be blocked to prevent this light from hitting your sensor. It’s more than just a color shift, with an IR sensitive camera you will see a different wavelength of light and pick up things that should be invisible, like your TV remote LEDs. You can see the hot mirror filter over the sensor in our dissasembly of the X-T3.